Join us this weekend to celebrate the Resurrection! Service times are Saturday, March 31st, at 5:00 & 7:00pm, and Sunday, April 1st, at 9:00 & 10:45am. Be sure to invite a friend to join you at one of the services. Also if you can help volunteer this weekend, please let us know. It's Barefoot Weekend at Live Oak this Saturday and Sunday. 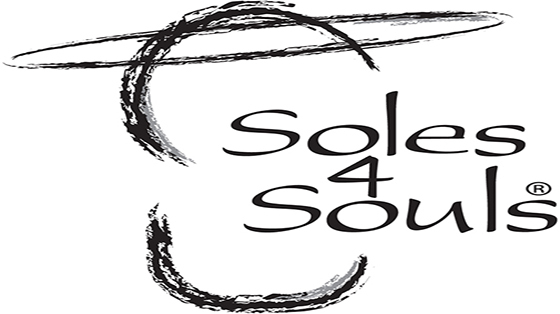 Be sure to bring in shoes (any type, any condition) to donate to Soles4Souls. Our goal this year is 1000 pairs! Trucks will be in front of both doors, just drop your shoes off prior to going into the building. And if you want to donate the shoes off your feet that's cool too, because after all it is Barefoot Weekend! Are you tired of living paycheck to paycheck? Is debt just normal to you? Do you want to learn to live like nobody else? If you answered yes to any of these questions, Financial Peace University is for you! Come learn to take control of your money. Did you even know that was possible?! It is! This class will start you on the steps to financial freedom! Classes start Saturday, April 7th, at 9:00am, at the Ministry Center. There will also be an identical class starting on Wednesday, April 11th, at 6:30pm, the Ministry Center. This gives you two opportunities to attend. Cost is $109/family or individual and scholarships are available. For more information or to register, click the button below! If you are new to Live Oak and want to get connected, Our Engagement Pathway is THE place to start. On Sunday, April 22nd, at 1:00pm, at the Ministry Center, we will have our Guest Lunch. This is a FREE, no strings attached lunch! The purpose of the lunch is for you to get to know some of our leadership in a relaxed setting over a meal. It also gives us a chance to get to know your story as well! The next step is Baptism Sunday. If you are ready to take this step in your faith we would LOVE to celebrate with you! Baptism Sunday is April 29th, after each service. If you or your kids are interested in being baptized, please let us know so one of our pastors can meet with you to address any questions you may have. The last step on the pathway is our Launch Class. Pastor Michael leads this class discussing our history, beliefs, mission, values, and vision. In addition you learn how to connect by serving, attending a Bible study, or joining a small group. This class is scheduled for Tuesday, May 1st, at 7:00pm, at the Ministry Center. More information on the Engagement Pathway can be found on our website. You can also register for any or all of the steps here.